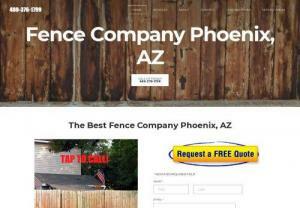 Fence Builders Phoenix is a fence company in Phoenix Arizona offering both residential and commercial fence installation. Invisible Fence Brand of Southern Maryland is the Authorized Dealer for Invisible Fence® Brand Pet Containment Products in the Maryland counties of Charles, Calvert and St. Mary's. Invisible Fence Brand of Southern Maryland, 1282 Smallwood DR W # 231, Waldorf, MD 20603, 800-734-0526. Your pets are family to us too. That\'s why our pet specialists are certified in our renowned Perfect Start™ Plus Pet Training methods. Our second generation iron workers make it so much fun to create new and exciting custom made gates for our customers. If you're looking for a credible and reliable fencing contractor who has the Sydney area covered, you've come to the right place! Here at Local Fencing, we pride ourselves on being one of Sydney's top fencing contractors. We have completed over thousands of fencing projects right around this great city - and we'd be delighted to complete your fencing job as well. Don's Burglar Bars provide the Undetectable Burglar Bar and driveway gates at a reasonable price. We will ensure that your property is entirely safe with security burglar bar system. Call us today to learn more about our undetectable burglar bars and gates. We provide reliable fencing and landscaping to customers in the Greater Austin area. Contact us now to give your yard a whole new look! Welcome to the official facebook fan page of TheHomeMag Southern Calfornia, the nation's leading local home improvement direct mail magazine. We provide a monthly, inspirational guide to improving your home and ultimately your life in that home. The experts to call when you have a problem with your gates are us at Gate Repair Redondo Beach where your satisfaction is guaranteed. For over 23 years, Northwest Fence & Iron has manufactured, designed, fabricated, and installed the best fence products available. Call us at 512-219-5901. Quality COLORBOND® Fencing Contractor in Perth and Bunbury WA. 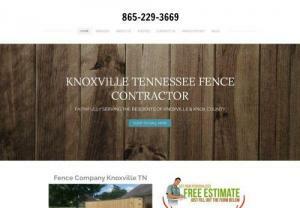 Call us for Fence Installation and Repairs Today for a Free Quote of Cost and Prices. COLORBOND® is a durable, attractive and portable fence material. Select from range of contemporary Colorbond colours and speak to fencing experts to find out the most ideal for your property. Oxworks manufactures and supplies factory direct fencing, gates, screens and balustrade. We stock a huge range of products & fencing supplies from DIY to Commercial projects. We specialise in the manufacture of glass, aluminium & steel products for home improvement and major project works. Have you thought about buying the Baseball Fence Windscreen? If so, then it's best you visit Razor Fencing. At this platform, you can buy the fence windscreen as per your choice and budget. The company has a team of installation experts who install perfect fencing as per your requirements. Team Work Fencing is a leading HardieFence™ Perth-based contractor specialising in fast and professional Hardie Fence installations. Contact us for a free quote! Modular fencing Australian made for people with taste & a budget! We supply do it yourself modular fencing kitsets nationwide. Installers available. Supply & Construction of Quality Colorbond Fencing & Quality Colorbond Gates. We are able to be contacted outside normal business hours. We Listen to our customers to understand their fencing project requirements and deliver the right Colorbond fencing solutions on time at competitive prices, supported by experienced fencing advice.